After two weeks of disappearance I’m back again to posting, and hopefully I’ll be more stable and dedicated to the blog. Or at least this is the resolution of 2014 concerning sealinthefog.com! 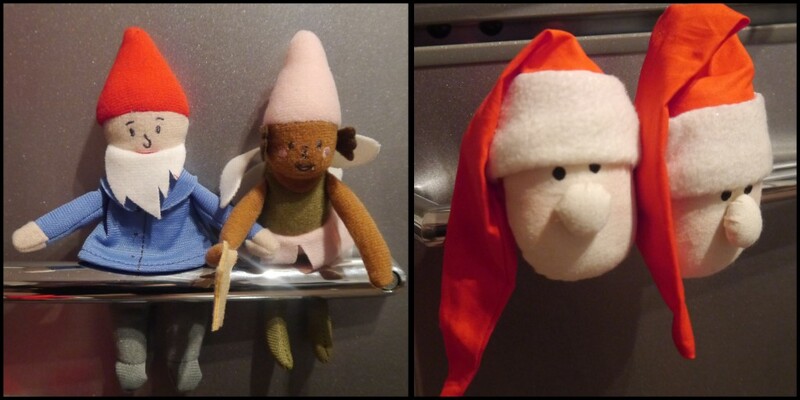 So here comes the first post of the year and although Christmas period is almost over I thought it would be nice to show you what went on in our house. Since we have been around a lot in the last years unluckily we don’t have big Christmas decorations but we do have a few that I have been carrying around in our travels. My tiny tree! Since a kid I’ve had a tree for my self. My mom used to let me decorate a white tree with cute ornaments. When I grew up, with a slight bitterness, I had to throw it away since it was in a horrible state. 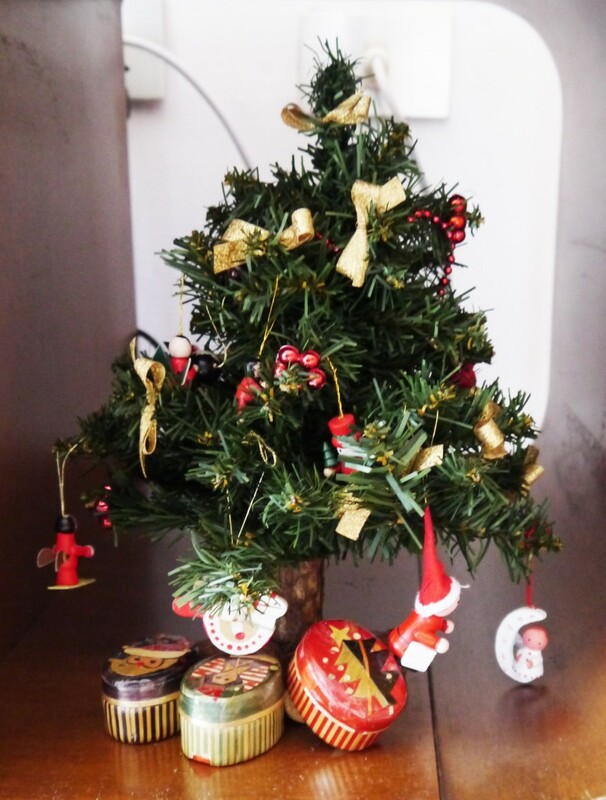 When I went to university I didn’t like the idea of not decorating my apartment for the holidays, so I looked for something and I found this small Christmas tree which I love because it reminds me of when I was little. I decorate it with my old wooden ornaments and this year I add underneath it three small boxes I found at my mother’s, just as cute presents. I have an other few ornaments that are going to decorate my future tree, but for now I just hang them around the house: a Christmas stocking and a mitten, few felted ornaments, some decorated wooden tongs. 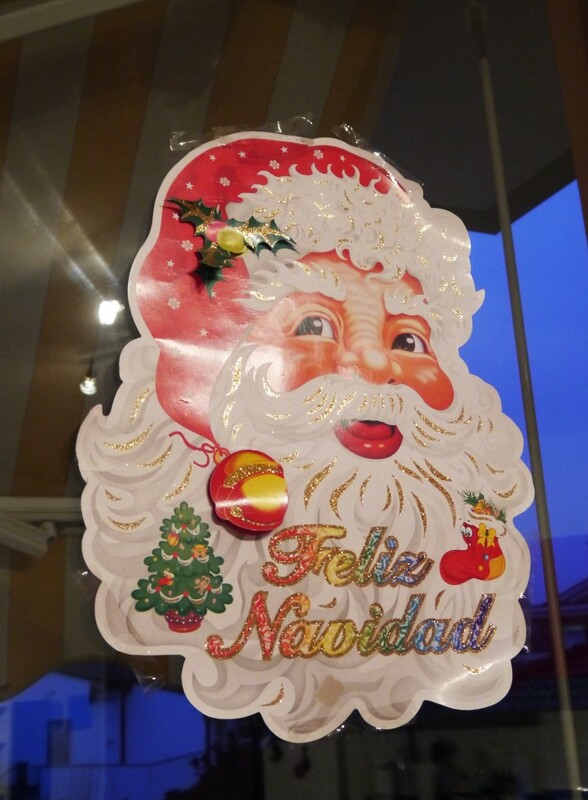 The first year we lived in Madrid and shared apartment with other three guys my husband and I bought a really cheap and tacky decoration and hung it at the door just to make a joke to our flat mates: a Santa Claus paper head. It is really funny and I actually find it ugly but it has followed us since then and I just feel it’s right to have it, so here it is again at our window! 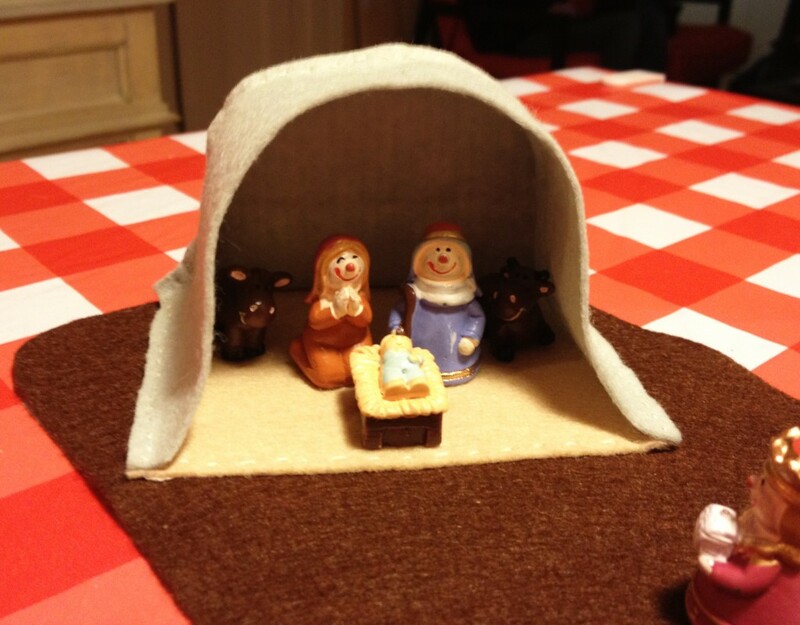 And my last decoration for Christmas is a little nativity scene. I diyed myself last year before Christmas and I made a few as presents, for our grandmas and a few other people. I found the figures in a really nice shop in Spain, its called Tiger (http://www.tiger-stores.com) and once at home I thought it would have been really nice to have a little set for them. 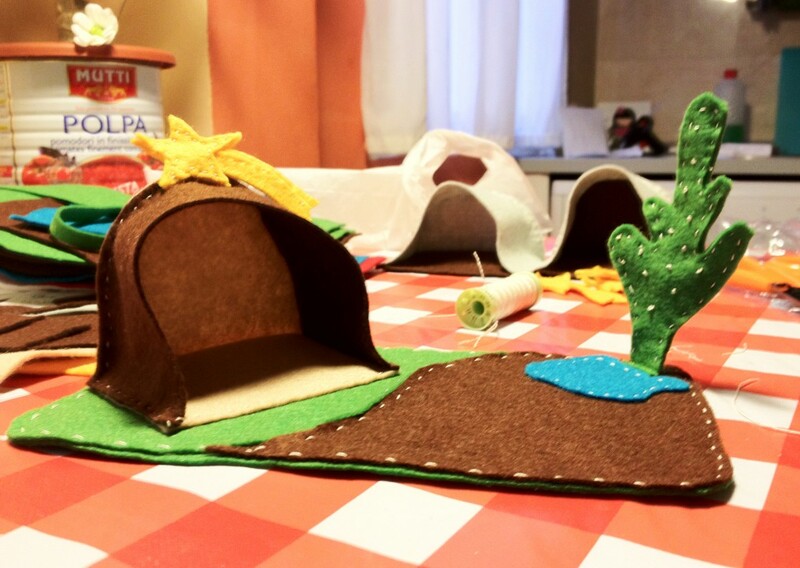 So I decided to give it a try and recreate a nativity scene with felt. I set a rectangle shape for the base, where all the elements could fit. I added in the corner a sort of cave for the main characters, Baby Jesus, Mary, Joseph, a donkey and an ox, with on top the Star of Betlehem. I made it with three parts: the base, a half circle background and one long strip for both sides and top, so I could give it a rounded shape. 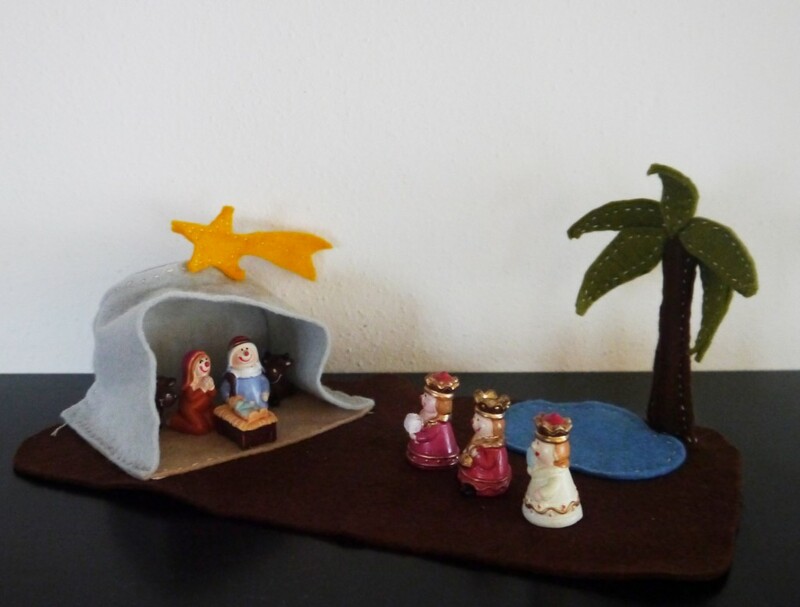 Once I set the Wise Men in front of the cave I noticed there was a big empty space on the right corner and since I didn’t have other figures, as a shepherd or some sheep, I created a little water spring with a palm or a cactus. I think the cactus is really cute and it was actually easy to do. The palm was a bit longer since I had to cut and sew both sides of each leaf. 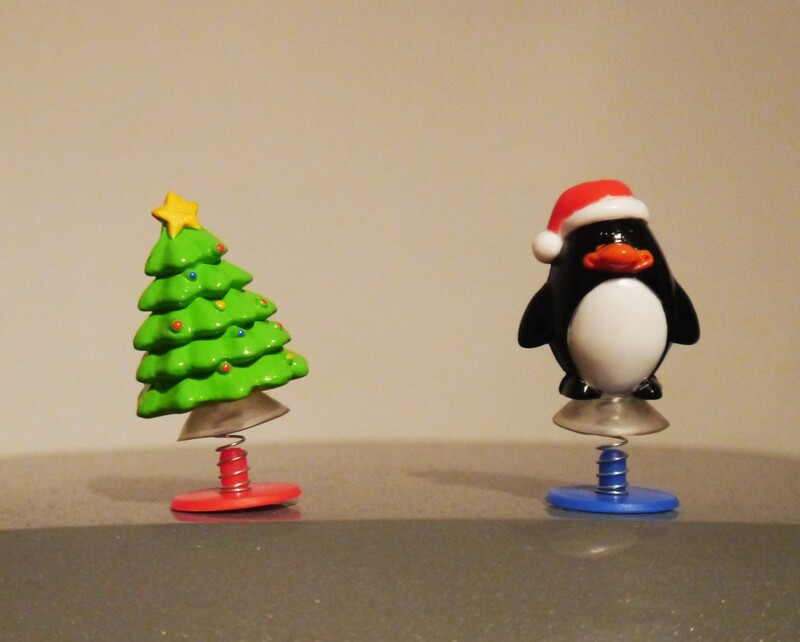 The most difficult thing was to make them stand: my solution was to add in the inside of the trunk an ikea pencil, which has the perfect measure. 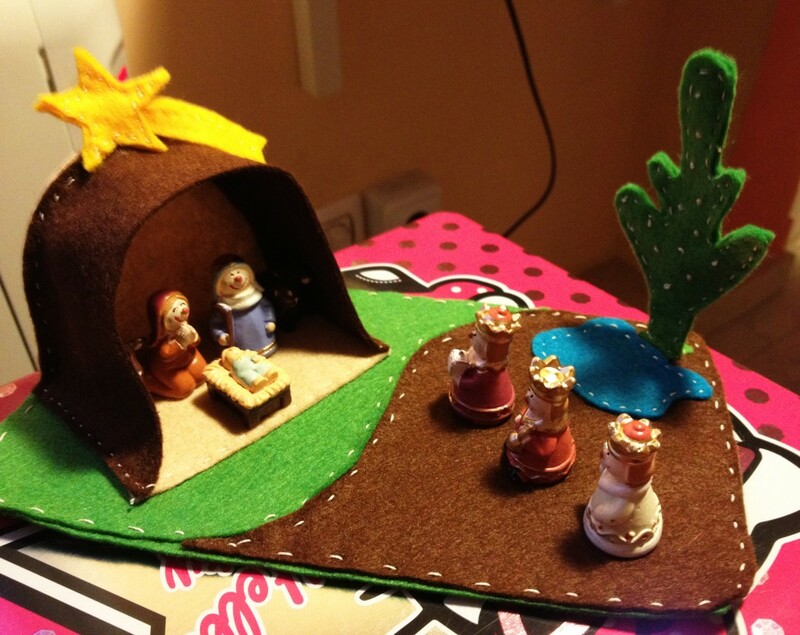 As you can see from the pictures I made the nativity scenes with different colors, basically with the scraps of felt I already had and a few that I bought. I hope you like it as much as I do! 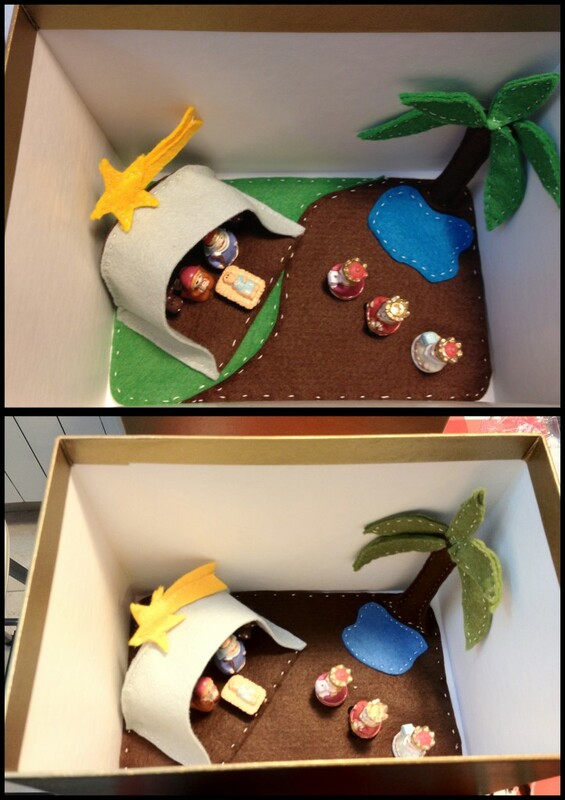 p.s: in the first picture of the nativity you can see the one I kept for myself, with a wavy cave. That’s because I didn’t keep it in a box all for itself. But my mom gave me a really sweet Christmas box, so hopefully next year I will be in a better shape.